Did you know that women were employed through the WPA during the Depression just like men? The 1940 US Federal Census is one place where we can find out if our relatives were working for the WPA. Look under the employment section. If you see WPA in the Industry column, it means the person was employed through the Works Progress Administration. This is how I learned my great great aunt found work though the WPA. The Works Progress Administration later called the Works Projects Administration, or the WPA, was a federal government program created during the Depression to put Americans back to work. It employed people with a variety of skills to do all sorts of work. As a genealogist, I have benefited from one of those WPA projects. Those soundex index cards I scrolled through to find my ancestors in various census records before online databases were created by WPA employees. Other work might have included road repair, art projects, building construction, teaching children how to play the piano, sewing, and so forth. Until Congress shut down the WPA in 1943, it did wonders to get people working and to give them hope. That money they earned put food back on the table. You see the legacy of the WPA every day, but don’t realize it. Workers constructed court houses, airports, bridges and they created art work and painted murals. I’m amazed at how much of the architecture of the San Francisco Bay Area was built during what was one of America’s darkest times. What Was That About Sewing? In reviewing the 1940 Census entry for my great great aunt, Marie Grace (de Braga) Bonita, I was surprised to find that she was employed by the WPA as a seamstress. She was in her 60s at the time. This is the first I heard that she held a job outside the home. What kind of sewing? I decided to do some searching. 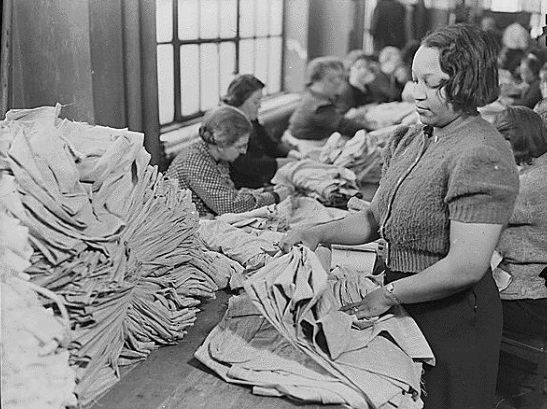 According to the blog post “Women and the WPA: Sewing” on the New Deal of the Day blog, the government set up sewing rooms across the nation that employed women. It appears that at first they sewed clothing. Clothing was specially designed for this purpose. Their work expanded to military items. They sewed clothing for soldiers, knapsacks, blankets, and tents. You name it, these women sewed it! It didn’t matter if the knew how to sew or not. Instructors were on hand to teach them the basics and to show them how to use the sewing machines. Since these sewing rooms were set up across the country, I’m going to guess that there was one in Oakland, Alameda County, California where Marie Grace lived, though I don’t have proof of it yet. Did Marie Grace Always Work? After learning the “what”, I had more questions to answer. Why was Marie Grace working when there didn’t seem to be any record of her working previously? Was she always employed? First, it’s quite possible that she was working, but at home. Women took in sewing, did laundry, cooked for single men, and so forth. These occupations weren’t always recorded in the census. I imagine there was a bias as to these not being “real” jobs. Perhaps those kinds of piecemeal jobs dried up during the Depression. You can’t get someone to pay you to do laundry if they don’t have money to pay rent. Her great granddaughter told me that Marie Grace worked for the cotton mill. Was this part of her WPA employment or something else entirely? Maybe Marie Grace worked all along but the information wasn’t reported to earlier census enumerators. Why Was Marie Grace Working for the WPA? The “why” lies in Marie Grace’s situation. Two things were going on that would have caused her to become the breadwinner for the family. First, her husband, Manoel Mello Bonita, suffered from asthma. In his younger years, he worked on sugar cane and sugar beet farms. But, as he aged his asthma worsened. By 1940, he was bedridden. In 1931, tragedy struck her family. Marie Grace’s daughter, Sophie (Bonita) Guido died of cancer. She had three children that needed to be taken care of. According to the 1940 census, two of those grandchildren lived with Marie Grace and Manoel. 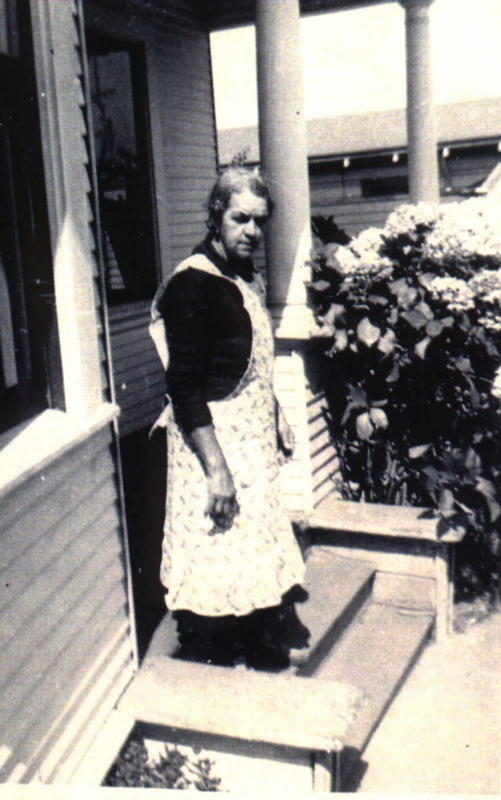 Let’s take a look at the 1940 US Federal Census for Marie Grace (de Braga) Bonita. She worked 48 weeks and brought in $360 in 1939. According to my mom, her parents rented their house from Marie Grace and Manoel when they return to Oakland around 1937, so Marie Grace’s paycheck wasn’t their only income. With her husband unable to work and two more mouths to feed, she had to do something. $360 a year doesn’t seem like much, but it is better than nothing when you have grandchildren to take care of. Don’t Ignore the Extra Columns! It’s easy to focus on the columns by the names. They have the age, birth place, and address. All pertinent information to our search, but there’s so much more on the rest of the sheet. The National Archives gives a full rundown on the columns and what they meant for the 1940 US Federal Census. Those other columns are important to understanding our ancestor’s story. They tell us could read or write, if they went to school, if they knew English. In 1940, we learn if they owned a radio. A radio that used electricity, no doubt! The 1940 census gives us extra information about WPA employment that we can’t easily find in other records. I learned a bit more of Marie Grace’s story thanks to the 1940 Census. Did your relatives work for the WPA? Tell us about it in the comments. 1. Soundex – Decennial Census Records. 2. Women and the WPA: Sewing (Part 4 of 10). New Deal of the Day Blog, 13 Jan 2014. 3. We Patch Everything: WPA Sewing Rooms in Fort Worth, Texas. The Living New Deal website, 27 May 2013. 5. California Cotton Mills. Oakland, California. Oakland Wiki, LocalWiki. This article was written for the 52 Ancestors in 52 Weeks challenge created by Amy Johnson Crow. Melody, I love this post. Marie Grace was my great grandma. I remember my great grandma”Vovo” working with my grandma and my mother sewing clothes for us girls. Thanks for the post. Bobbie, I’m so glad you read it! It’s difficult to find the stories of our female ancestors. This was an important part of Marie Grace’s story.